Russian Ambassador to the Philippines Igor Khovaev said in a video interview with CNN Philippines that Russia want to strengthen ties with the Philippines. 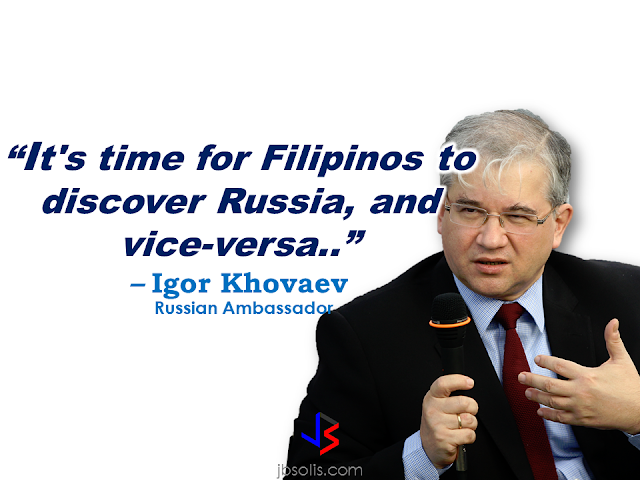 Khovaev said that President Rodrigo Duterte's visit to Russia scheduled on May, could result to a new milestone on the history of bilateral relationship between the two countries. Possible negotiations on exchange visits,exchange of protocols, staff training and possible supply of weapons among others. The Russian Ambassador also stated that the two countries should focus on trade and investments field, culture, education, and humanitarian projects and not on mutual ties. 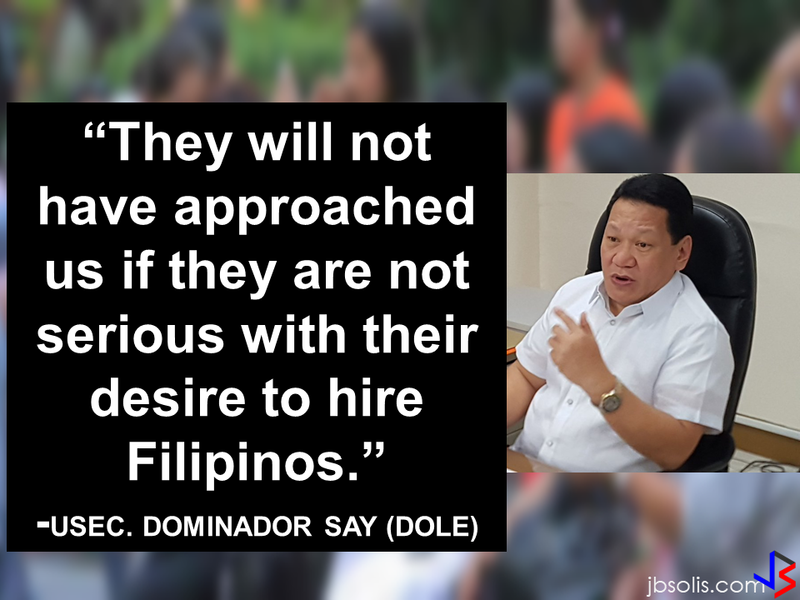 He also said that a joint economic and trade commission will be held in Manila very soon. The first ever in the history of the relationship of both countries. The Russian Ambassador said that they want to explore Philippine market such as transport, energy and telecommunications that could mean improvement and progress if the country will let foreign players to get in. 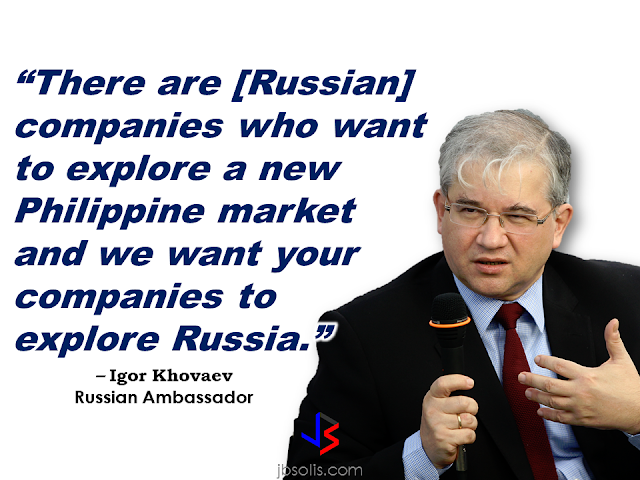 The companies in the Philippines are also welcome to explore Russian market, according to Khovaev. 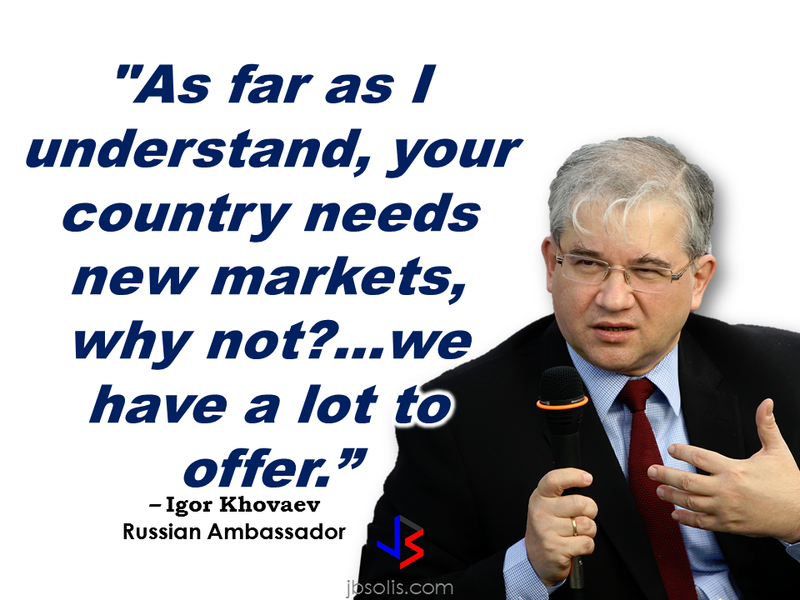 "As far as I understand, your country needs new markets, so, why not?" Khovaev said. Khovaev said that both countries have a lot to offer. However, he said that both countries should be consistent and persistent because the exploration of markets requires much effort and its not an easy process.